In an effort, I guess, to be even more responsive Tesco seem to be deciding the content of their promotions closer to their actual start date. An (obviously unintended) consequence of that policy is to leave insufficient time for guys like me to select and assess wines being discounted and then tell you about the best options on Day One of the actual promotion. Nevertheless, there are still high spots within the lists of reductions being offered. Here, then are four great options from the current promotion but do note that the offers end on 15 April – so this is a combination of a main feature and the usual Sunset Corner too. Also today are two great wines in the Best of the Rest selections and – instead of the Top Tip – our Sunday Best feature on wines to make Easter just that little bit more special. We are used to seeing unfamiliar grapes figuring in Italian white wines but here is an excellent example of a red wine from Campania from the relatively unknown variety Aglianico – pronounced Aye-yan-ick-oh by the way. Being early budding with a long ripening period and resilience to heat and limited water all make the variety ideal for southern Italy where it produces sturdy intense red wine that can be more powerful than, say, primitivo. Use the £1 discount to try the dark and smooth 2015 Tesco Finest Aglianico (£8 – instead of £9 until 15 April – at Tesco and 13.5% abv) with its concentrated, smoky cherry and loganberry fruit, good acidity, gentle tannin, truffle and marzipan depth and suggestions of nutmeg and herbs. Moving from Italy to Spain – and to more familiar labels – do try this reserva (a classification that requires three years of aging with at least one of them in oak) made for Tesco by the widely applauded Baron de Ley operation. Bold black cherry and blackberry fruit abound in 2014 Tesco Finest Rioja Reserva (£8 – instead of £8.50 and 13.5%) where it is delightfully supported by gentle tannin, rich chocolate based depth and hints of tobacco, black pepper and baking spice. We tend to link Loire sauvignon blanc only with the upper end of the river (Pouilly and Sancerre etc) but presentable – and inexpensive – versions are produced further west like this one from around the city of Tours. 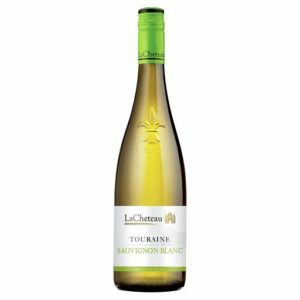 All the subdued Loire sauvignon qualities are apparent in Lacheteau Touraine Sauvignon Blanc (£6.50 – instead of £7.50 and 12%) but they mingle nicely here with grapefruit acidity, hints of sherbet and orange, minty herb influences and lemongrass freshness. Any look at Burgundy and parts of Beaujolais usually involves the wines of Louis Jadot which seem to capture the region's spirit and character well yet do so at very fair prices. 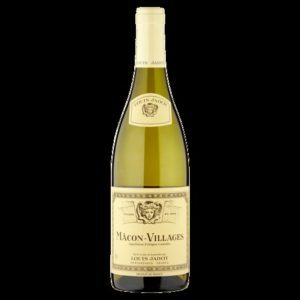 From the southern (often great value but increasingly interesting) end of the region comes 2017 Louis Jadot Macon-Villages (£8 – instead of £9 and 13%) – white wine with fresh melon and green apple fruit, good lemon centred acidity and a savoury edge that even has a hint of toffee. 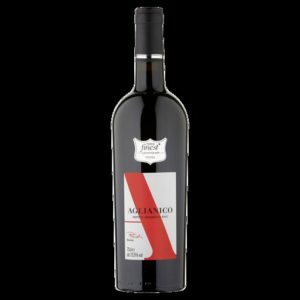 For anyone seeking modern, fruit forward Rioja the wines of Ramón Bilbao are an ideal starting point and this reserva is a particularly impressive example – and at a great price. On another plus point it is in 50cl bottles – something I warmly commend as it offers a large (pub) glass for two people or (almost) three standard ones; perfect for a couple's midweek evening at home. 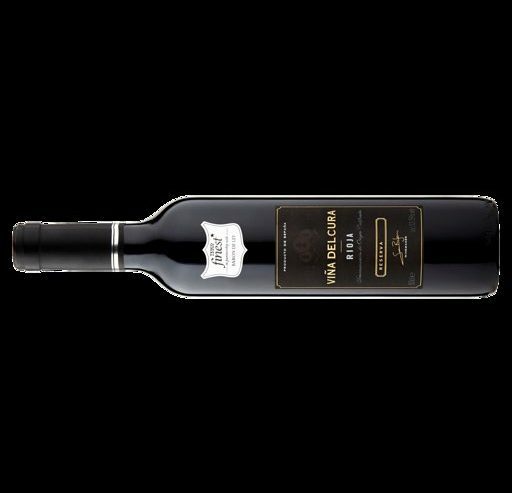 As for the wine, 2014 El Viaje de Ramon Reserva (£7 for 50cl at the Co-op and 13.5%) has fabulously deep and aromatic plum and cherry fruit with nippy acidity, firm but proportionate tannin and an undercurrent of clove, rosemary and cocoa. I have already praised re-invented Vinho Verde wines (which often contain avesso – to me, one of the region’s classier grapes) but here, in a single varietal version, it has the chance to justify my judgement. 2018 The Wine Foundry Avesso (£6.49 at Aldi and 12.5%) does so brilliantly in my view exhibiting fresh but weighty white peach and ripe apple fruit with sharp tangerine acidity and suggestions of mint and nutmeg. The upcoming Bank Holiday weekend is a good reason to push the budget up a bit and buy some of the special occasion wine that we regularly feature in the Sunday Best segment of this site. Here are some I think you will enjoy. Impressive white Burgundy is always a treat and, despite being from younger vines, this version brilliantly gives us an inkling of the heights to which top level parts of the region can soar – but at a good price. Rounded and with a creamy texture, 2016 Bourgogne Blanc Les Sétilles Olivier Leflaive (£19.95 at www.corneyandbarrow.com and 12.5%) has apple and melon fruit with a hint of apricot, pithy zest and lime acidity all enclosed in a gentle oak background with classic vanilla components. For the other classic white grape we head to the Loire valley where the limestone and clay soils of Sancerre seem to tease a special sort of restrained intricacy from sauvignon blanc grapes. 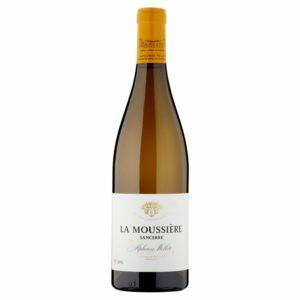 Despite a fairly delicate texture, 2017 Sancerre La Moussiere (£18 at Sainsbury’s and 13%) still musters considerable complexity (derived perhaps from oak fermentation) that sits behind its smooth gooseberry, apple and white peach fruit, herb influences and grapefruit based acidity. We sometimes forget that the Loire is not the only big sauvignon blanc area in France because Bordeaux can produce brilliant versions – sometimes blended with semillon or others and sometime just on its own. 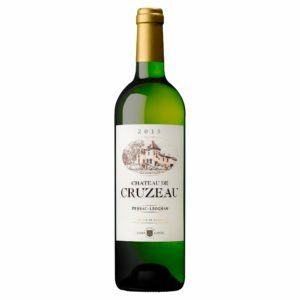 Pessac Leognan – the area just north of Graves –brings us 2015 Chateau de Cruzeau (£17.99 at Waitrose and 13.5%) with its lively pear, quince and red apple fruit, citrus acidity, grassy and green pepper touches and savoury edged richness. Lamb is the traditional meat for Easter and few red wines accompany it better than mature Rioja where an extra touch or two of tannin are very effective at neutralising the slight fattiness that lamb sometimes contains. 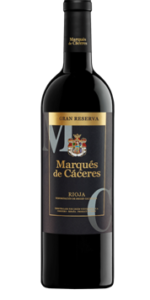 “Mature Rioja” in effect means Gran Reserva and I was particularly taken by 2010 Marques de Caceres Gran Reserva (£16.99 as part of a “mixed six” at Majestic and 14%) with its smooth elderberry and cherry fruit, good acidity, clove, chocolate and graphite depth along, of course, with firm (lamb friendly) tannin. Claret is, of course, another option for lamb dishes and here is an excellent example offering (I fancy) de-classified wine from prestigious chateaux with a very simple village name on its label. 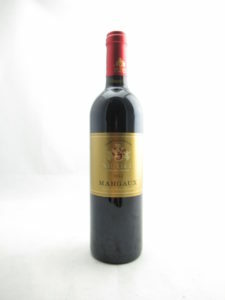 Secondary influences such as caramel, cinnamon, mint and aniseed all vie for attention in 2015 Sichel Margaux (£24.95 at Davy’s Wine Merchants and 13%) yet still neatly support the wine’s soft bramble and plum fruit, good acidity, savoury depth and quite firm tannin. Although we change country for the final red, the retailer remains the same but here provides us with an excellent version of Piedmont's Barolo and Barberesco grape – Nebbiolo. 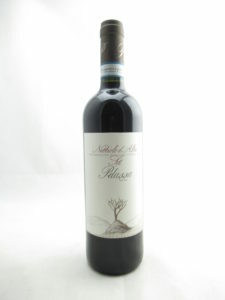 Classic rose and black fruit components jump out from 2014 Pelassa Nebbiolo d’Alba ‘Sot’ (£19.95 at Davy’s Wine Merchants and 14%) with its lively acidity and mineral depth, prune and cherry flavours, suggestions of chocolate yet surprising softness and mild tannin. For a dessert wine, let’s round off this Easter selection with a top of the range (some would say, emblematic) Australian “sticky” from New South Wales and the grape variety that does so well there – semillon. Floral and honeycomb elements dominate the opening moments of 2016 De Bortoli, Noble One Botrytis Semillon (£22.99 for a half bottle at Oxford Wine Company and 10.5%) but they quickly give way to mango and orange fruit, smooth lanolin texture and (the key to quality sweet wine) citrus peel acidity. Nice selections, especially the Riojas (no surprise there !) 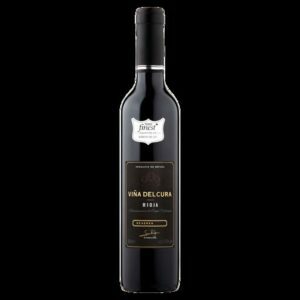 I remember buying the ‘Vina del Cura’ a few years ago when it was labelled ‘Vina Mara’ and I still have a Reserva 2007 and a Gran Reserva 2004 it was a lovely Rioja then, not tried the current version yet but anything by Baron de Ley is normally pretty decent. Starting to see more and more 50cl bottles, great idea as you say especially for during the week. Thanks Dave – Praise from a Spain enthusiast like you is praise indeed!